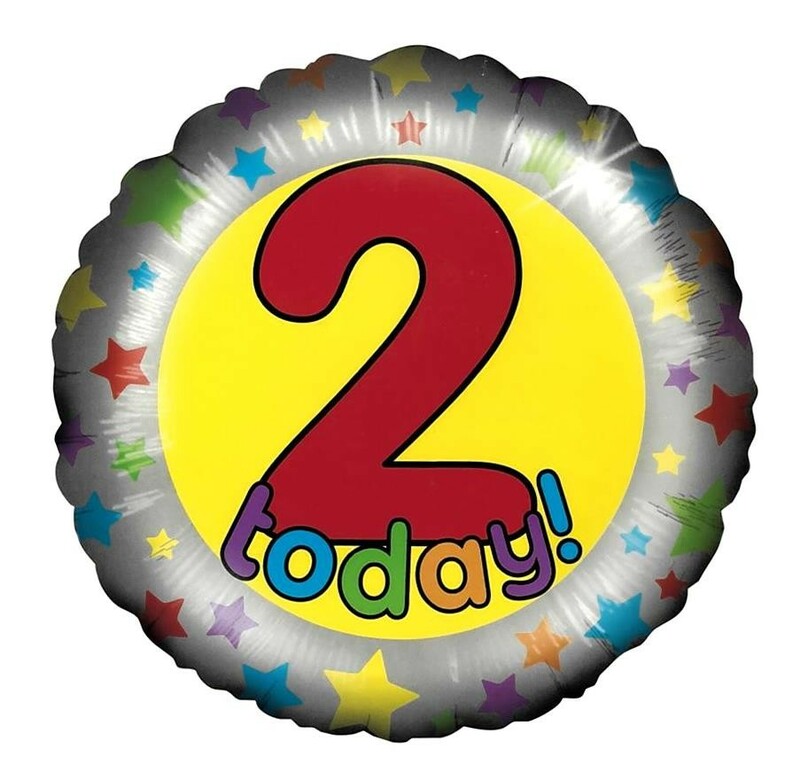 2 today stars foil balloon has a silver border; a yellow centre which displays the words '2 Today!' and illustrated with multicoloured pastel stars printed all over. Includes plastic weight and ribbon.